I don't think I'd necessarily list Kate Morton as one of my favorite authors. I've had mixed feelings about her books: I didn't like The Forgotten Garden; I loved The Secret Keeper; and I quite enjoyed this one, The Lake House. 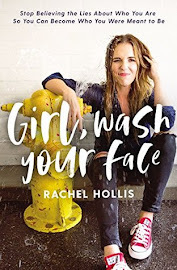 I feel like, after three books, I have a pretty good feel for her style, and I like it, but not enough that I'm going to rush out and read everything else she's written or wait with bated breath for her next release. I don't even know if I dare attempt a plot summary of this book. 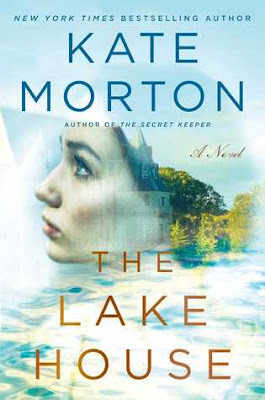 Like the other Kate Morton novels I've read, it's full of multiple characters spanning several generations and places. It's a lot to keep track of even while reading, let alone in a little summary, but here's my attempt. When the story opens, it is 1933. Alice Edevane is sixteen years old. It is night and raining, and she is burying something. We don't know what it is, but from the way she's acting, you get the feeling that it's something that would implicate her to something horrible. Fast forward seventy years. Detective Sadie Sparrow is visiting her grandfather in Cornwall. She's there on a forced leave of absence after she became too emotionally involved in a missing person case and leaked an unconfirmed fact to the press in order to keep the case going. Her partner thought it best if she left London until the backlash had settled down. But Sadie is not one to sit around and relax. While she's out running one morning, she comes upon an abandoned house. Although overgrown and in need of repair, she can tell just by looking through the windows that whoever lived there left it just as it had always been. She's intrigued but even more so once she realizes that it belongs to the Edevane family and that they left it in 1933 after their eleven-month-old son vanished in the night and was never found. Although the case was closed decades before, Sadie is drawn to the unanswered questions. She becomes obsessed with learning about the family and trying to figure out who took baby Theo all those years ago and what happened to him. I think one of the reasons Kate Morton's novels are difficult for me is that they are somewhat impenetrable. I feel like I am completely in the dark for at least the first thirty pages, and I have to reread sections and flip back to earlier chapters in order to keep track of who's who. I love mysteries and questions, but I don't love feeling like I'm constantly missing something, and that's how I feel with Kate Morton's novels. Many authors employ different perspectives and time periods to tell the story, but usually it's somewhat predictable: first this character, then this one. Back and forth. But with Kate Morton, it's not like that at all. First we're in 1933, then 2003, then 1911, then 1931, and then back to 1933. We're getting the perspectives of old Alice and young Alice, old Eleanor and young Eleanor, and present day Sadie, and it's all just a little bit hard to settle into. Along with that, there's no question that it's Kate Morton calling the shots. She leads you down one path, making you think you're figuring it out on your own, but then all of a sudden, you realize that there are still 300 pages left in the book, so that can't be it, and sure enough, it's a dead end. Then she does the same thing again, leaving little clues so that you reach a conclusion just a hair before the main character, but then it turns up false again. I was definitely manipulated by her storytelling in many areas, but there was one belief I held firm to throughout the book, even when she was making a good case for something else, and I'm pretty proud of myself because I ended up being right. Also, Kate Morton is known for her mind-blowing twists. There were two in this book, and one of them caught me by surprise, but I figured out the other one before it happened, and that's never happened to me with her novels (I'm blaming it on my excellent sleuthing skills). Constance (Alice's grandmother, Eleanor's mother), who gave Eleanor everything she needed for her physical well-being but withheld her love in a truly despicable way. Eleanor (Alice's mother), who is carefree and fun until she can't be and becomes strict and responsible. And yet, she cherishes her baby boy, Theo. Nanny Rose (Theo's nanny), who loves Theo like a son and will do anything to protect him. Sadie, who is a mother by birth only. She gave up her daughter for adoption just hours after she was born but, fifteen years later, still remembers what it felt like to hold her. Ruth (Sadie's grandmother), who took her in at a difficult time and loved her fiercely. Sadie's mother, whose name I've forgotten, which says something about the kind of mother she was. Maggie, who supposedly abandoned her daughter even though she always seemed like a conscientious mother (it's this case that Sadie is in trouble for). Nancy (Maggie's mother), who won't give up on her daughter's case--something about it just doesn't feel right. Gemma (Maggie's ex-husband's new wife), who steps in to care for Caitlyn when Maggie leaves her. Sophie, a French woman who we only get a small glimpse of. Deborah (Alice's older sister), who wanted children but was never able to have any. Clemmie (Alice's younger sister), who loves Theo with such a fierce and devoted love, she's pretty much a second mother to him. And someone else, whose name I better not mention or it will give away important information. All of these mothers beg the question, What makes a mother a mother? Biology? Love? Sacrifice? Dedication? The threads of these women's stories weave together in an intricate but complicated way, and for me, this was definitely the most impressive and well-crafted aspect of the book. 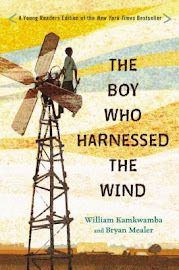 Beyond my initial frustration with not being able to get into the book, it was a delight to read. It was one of those novels that's just fun to be in the middle of. I found myself thinking about it at random points during the day, and it was a pleasure to return to each time and uncover a little more of the mystery. 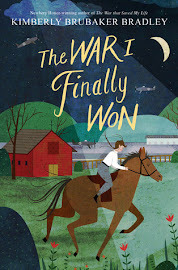 There were things I didn't love about the ending--things that seemed a little too implausible and wrapped up a little too neatly--but for the most part, I thoroughly enjoyed it. The characters were multi-layered and heartbreaking. Eleanor was my favorite. I didn't love all of her choices, but she was inspiring nonetheless, and it was because of her that I shed some real tears at the end. And I loved, loved, loved the setting. I'm ready to hop on a plane to Cornwall right now. If you've read and loved Kate Morton's other novels, you will love this one. If you've felt somewhat lukewarm like me, I think you'll actually enjoy this one. And if you've never read anything by Kate Morton, then this would be a great one to start with. P.S. Oh, and just a little unrelated announcement. Suzanne and I will be holding our next blab this coming Wednesday, January 27th, at 7:00pm MST. Come join us! Okay, I going to have to try it! This is good to know! I've only read Forgotten Garden, which I didn't love. It was ok, but long. I think next of hers on my list to try is the Secret Keeper.